Cooking Thanksgiving dinner can be overwhelming for beginning (and even seasoned) cooks. Your best plan of attack is to be organized and keep it simple! 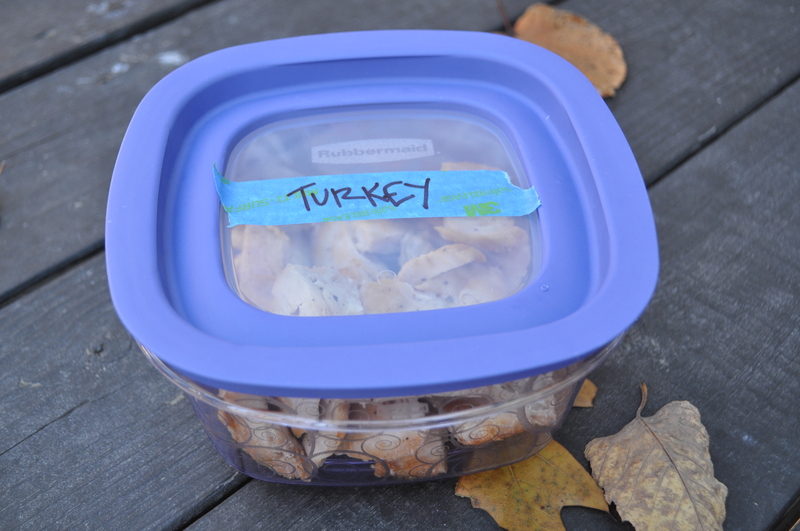 I’ve got some tips to help keep your Thanksgiving preparation under control. 1.. Start with a plan. I sat down today with my favorite cookbook, a huge cup of peppermint tea (I like Signature Tea Company, the Jasmine is delicious as well; I find it at Walmart), a brand new package of Sharpie Extreme Markers, and a blank sheet of paper. 2.. Delegate. Think through your favorite side dishes and desserts and ask family members to bring a dish make your job easier. 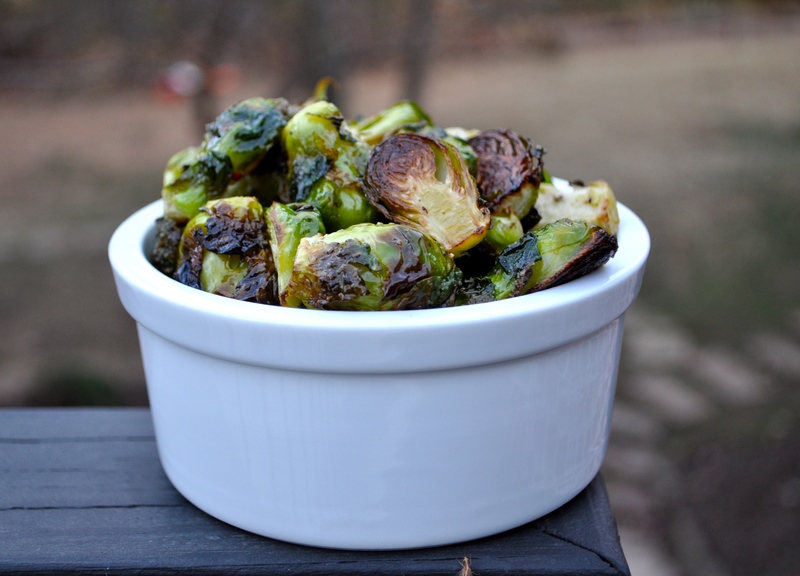 These Roasted Brussels Sprouts are always a hit and a snap to make. 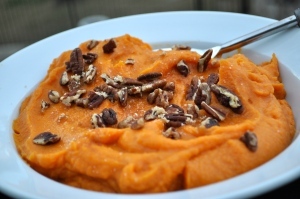 I made Mashed Sweet Potatoes last year for the first time, and I’m bringing them back this year! While you’re at Walmart grab some leftover containers. 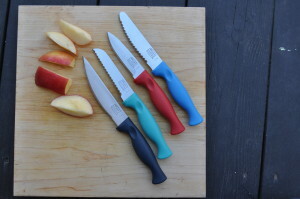 These new Rubbermaid ones are fantastic. Pick up lots of different sizes so you can send them home with your guests. You can get fancy and label them with washi tape or just do what I do, painters tape and a Sharpie. 4.. Don’t forget yourself! Thanksgiving is a busy day for the cook, so don’t forget to feed yourself. 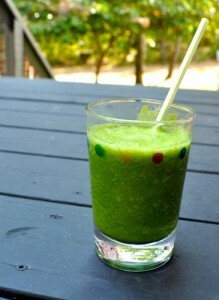 Here’s my favorite Green Smoothie recipe to keep your energy up while you are cooking. I like to use the Nutri-Ninja (you can grab one of these bad boys at Walmart or Walmart.com) to make myself a quick smoothie when I’m busy in the kitchen. The Auto IQ technology allows you to press one button and the smoothie is perfect every time and you can drink right out of the container. Fewer things to wash? Yes, please. 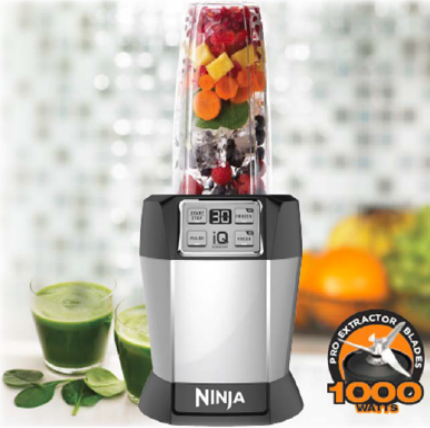 Place all the ingredients in the 24 ounce Ninja blender container. Use AutoIQ BLEND button to mix. If you want to WIN all these products, click here to enter. Copyright © 2015 Our Everyday Dinners - This is an easy recipe for how to make Thanksgiving Prep Strategy.